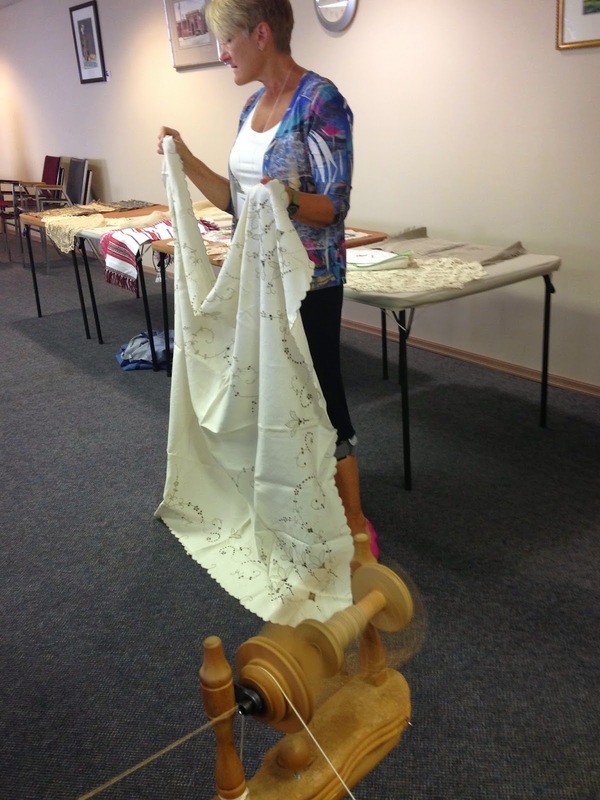 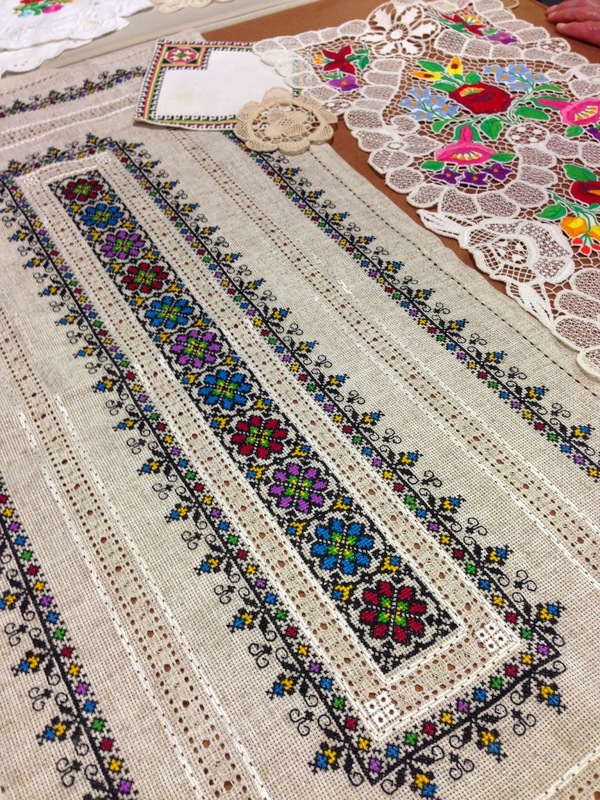 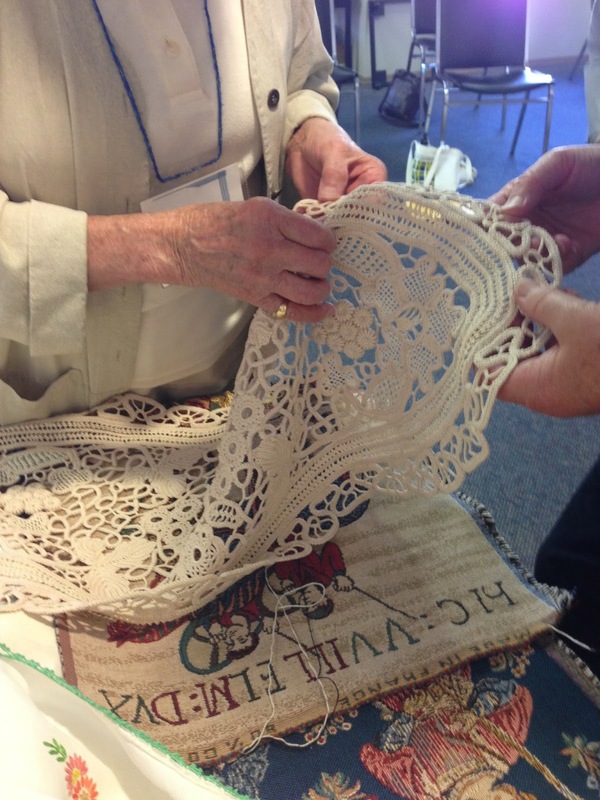 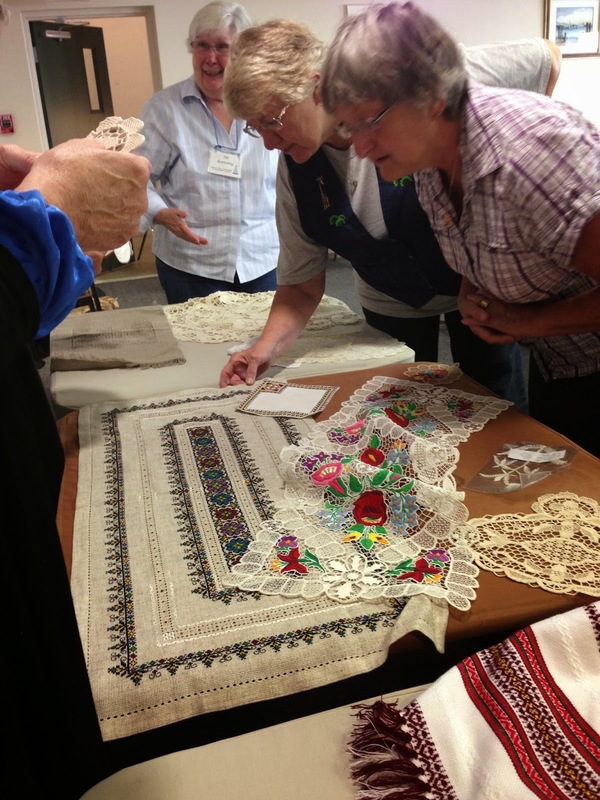 The DCWS Guild enjoyed seeing wonderful linens & laces needlework from Linda Michaluk's collection. 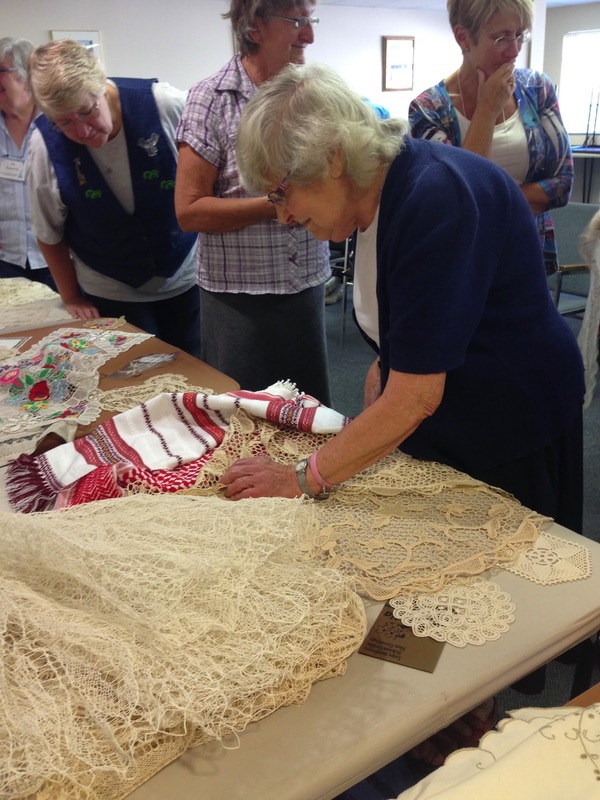 Linda brought items she has inherited and collected from her extensive travels and shared stories about her collection with our members. 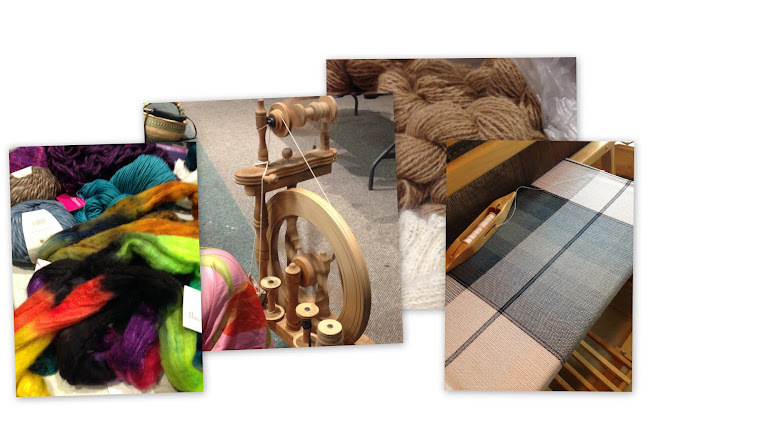 Here is a sampling of articles from the 'Trunk Show'. 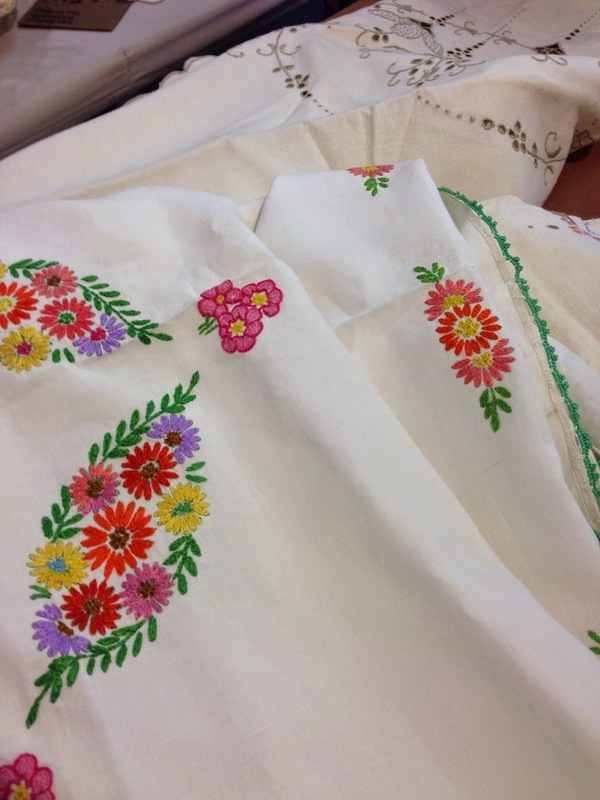 Needlework to perfection - the back looked as good as the front!